Photo by Liam Mitchell: Department chairs and senior leaders in the Faculty of Medicine participate in the KAIROS Blanket Exercise. Dr. Lisa Richardson, co-lead of Indigenous Medical Education in the MD Program, says that the KAIROS Blanket Exercise is an important educational tool that helps individuals draw an emotional connection to the lessons they learn. Dr. Lindsay Herzog, a family medicine resident based at Mount Sinai Hospital, has used the KAIROS Blanket Exercise to help other residents understand the historical context for Indigenous health issues. She discovered the exercise in the final months of medical school while taking an elective course in urban Indigenous health. 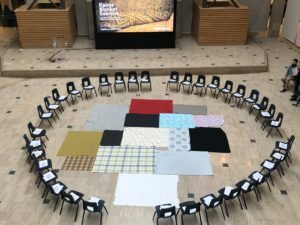 The course encouraged engagement with Toronto’s urban Indigenous population through a variety of community events, one of which was participation in theKAIROS Blanket Exercise at U of T’s First Nations House. The exercise is an important way, she says, for health professionals to connect with their Indigenous patients. “By understanding a person’s history and their culture, we gain a deeper understanding of that person and we become sensitive to how such concepts may relate to one’s interaction with the health-care system and their overall health,” she says. 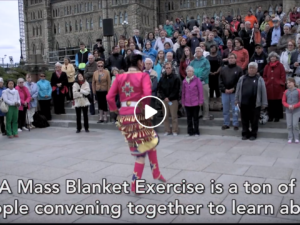 But, it’s not just health-care professionals who would benefit from participating in the KAIROS Blanket Exercise. 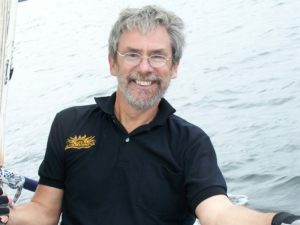 Originally published on U of T News on September 26, 2018.